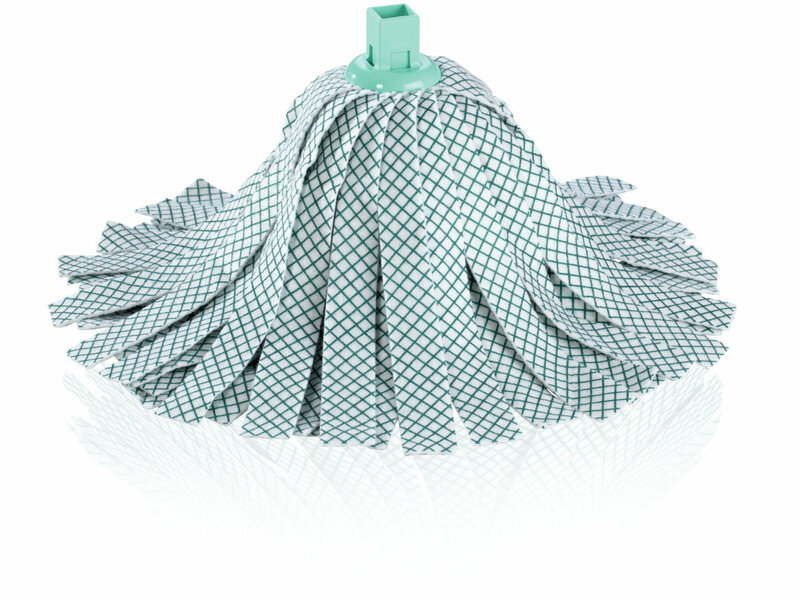 Simply put it on, ready: the replacement head for the Leifheit Wring Mop with hood is so easy to put on and thorough when it is used. It has an extremely large surface thanks to many wide strips made of viscose. With only one wiping it removes all dirt. In addition, it can easily be moved around every obstacle and cleans steps as efficient as surfaces. The replacement head is suitable for the Leifheit Wring Mop with hood, the Mop with integrated press mechanism on the handle. The viscose fibres are washable at 60°C.